Hydrogen energy is one of many new low carbon technologies that are available in the energy sector, however it still remains a relative unknown to most people. Hydrogen Interactive is a portable public engagement exhibit I developed for hydrogen technology supplier Green Acorn Energy. It’s designed to show the transfer of energy in a hydrogen storage and generation system, and to make this complex technology accessible to the public. 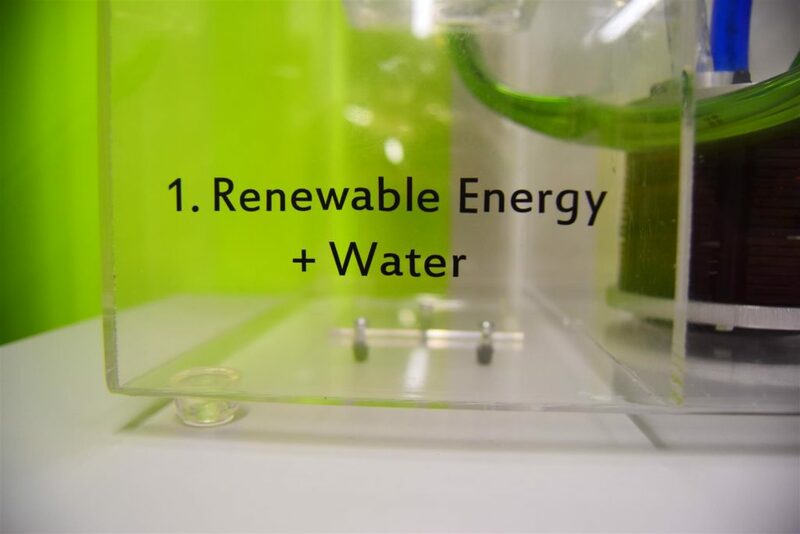 The finished exhibit is used to promote hydrogen energy at events across the UK. 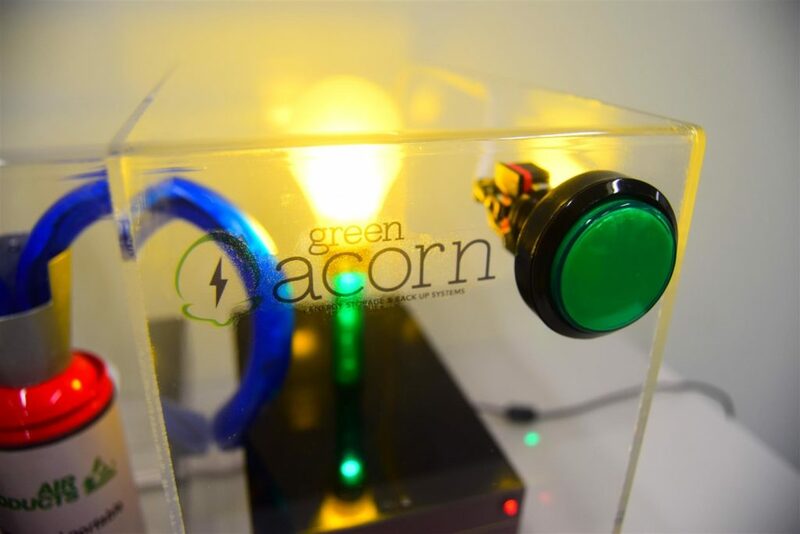 Activated by pressing a flashing arcade machine button, the unit uses motors and chasing LEDs to simulate the flow of water and renewable electricity into an electrolyser. 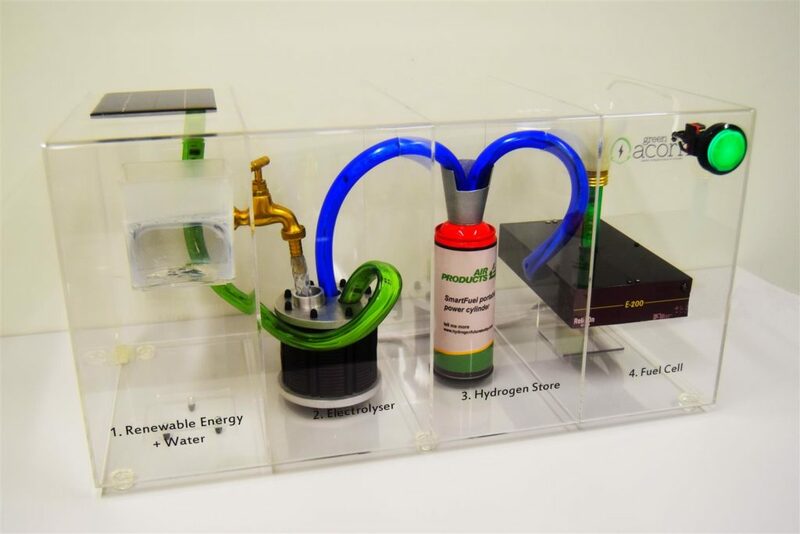 It demonstrates how the electrolyser converts these inputs into hydrogen gas, which is then stored for release into a fuel cell. 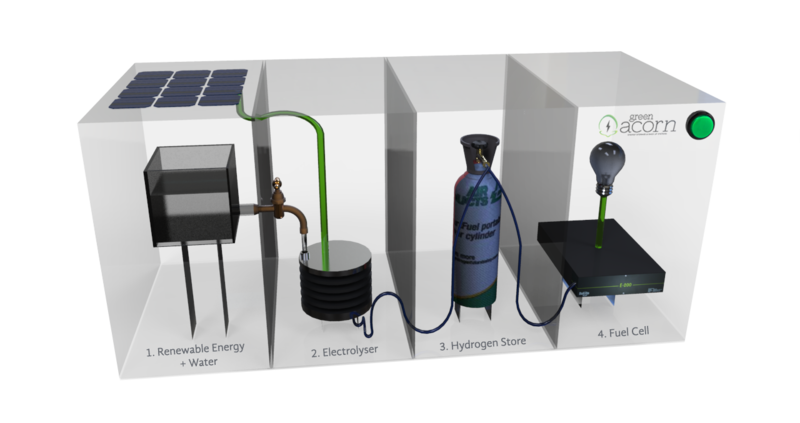 Finally, the exhibit shows how the stored hydrogen can be converted back into electricity to power a light bulb.